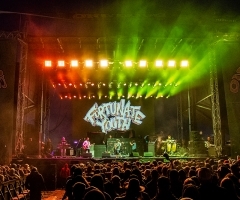 Last year in February, Southern California was rocked by a brand-new, fully-loaded reggae festival. 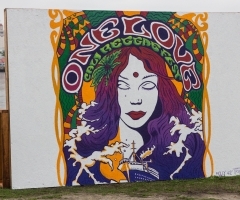 Hosted by Santa Ana's Observatory Theatre, the inaugural One Love Music Festival brought the biggest names in the business for a day of fun in the early springtime sun. Now, back by popular demand, the 2nd Annual One Love Festival has taken shape. Due to the overwhelming amount of participants in its first year, the 2nd Annual Fest is leaving its original Santa Ana home, voyaging north to Long Beach. 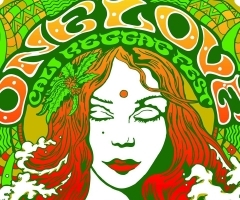 And, that's not all: set to the classy backdrop of the magnificent Queen Mary ocean liner, One Love has been extended to be not one, not two, but three whole days of peace, unity, and reggae music this upcoming February 10th through 12th! Although the 2016 line-up was impressive, 2017 takes the cake. Some festivals have 'off-days' where the scheduled acts are iffy, at best... One Love 2017 is not one of those events. All three days feature musical acts you don't want to miss. Let me elaborate. 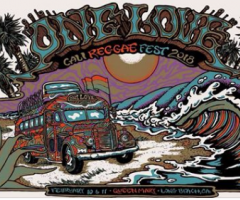 Day One, with some mystery spots yet to be revealed, has the kings of modern California reggae music themselves signed on to headline – Slightly Stoopid. Direct support is another band at the top of the scene, SOJA. More on Day One is Fishbone, The Expanders, The Aggrolites, Through the Roots, Simpkin Project, Inna Vision, Arise Roots, Leilani Wolfgramm, Quinto Sol, Ital Vibes, White Glove Service, and Janelle Phillips starting the day off right. And, that's without two bands announced! Day Two of 2017 has been disclosed in full, and continues along this mind-blowing fashion. First of all, Rebelution, Iration, and The Green. DONE. More Day Two music includes Chronixx, Don Carlos, Israel Vibration, War, Seedless, Protoje, Passafire, RDGLDGRN, Josh Heinrichs & Skillinjah, The Holdup, Ethan Tucker, and The Late Ones. And, if you're not yet convinced that this is the most colossal reggae line-up you've ever heard of (outside of Monterey), enter Day Three. Working from open to close, there's Iya Terra, Law, Perro Bravo, The Ziggens, The Steppas, Katastro, Mike Love, Pacific Dub, Shwayze, Tha Dogg Pound, Anuhea, Long Beach Dub Allstars, Steel Pulse, J Boog, and Dirty Heads ending the festival proper. Two bands on Day Three, like Day One, have yet to be unveiled, so check back for the final line-up announcement in the days leading up to the event!